Discover what has been inspiring new work and her latest stitching creations. 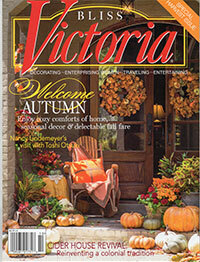 Get a peek preview in the Autumn Newsletter. 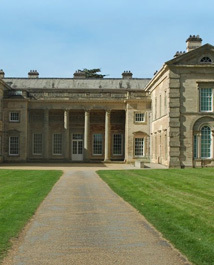 Compton Verney is an award winning art gallery and park in Warwickshire. Catch a glimpse of the new embroidery work for Compton Verney Textile Fair, created for her next publication; reportage from Sue’s demonstrations at the ‘Fashioned from Nature: Artists’ Open House’ at the V&A Museum in April; the Craft Council selects a work from Sue’s studio archive for their permanent collection (see photo right); plus studio events planned for 2019…………………. This new web page will expand on the current details shown in my Biography. Visitors to my website can read the creative story of these works in Public Collections, together with viewing images of embroideries and studio sketches. 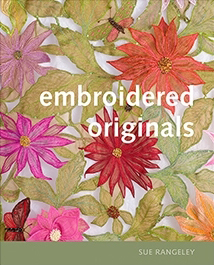 Special Offer on ‘Embroidered Originals’ by Sue Rangeley. Signed copies of this popular textile book are now available for U.K. customers at £15 (including postage) for cheque payments only. To place an order please email: sue.rangeley@btinternet.com. Online orders: Overseas & Europe come with free set of postcards. Click here to buy a copy. Launched in 2015, the blog gives a peek into studio life and textile creations. Latest blog: Embroidery dances into the 1920s. If you missed the last Newsletter, click here to see a copy. This popular American magazine devotes four pages to Sue’s embroidery creations, in the feature ‘Lavish Threads’. Click here to read all about Sue's career in embroidered textiles. Textileartist.org is full of inspiring information on contemporary textile artists. Sue Rangeley creates bespoke embroidered textiles with inventive flair combined with fine craftsmanship - unique works of art for fashion and interiors. She focuses on detailed free machine embroidery, beadwork, delicate silk appliqué, hand-painting, and an array of artful embellishments. She specializes in beautiful, crafted embroideries for contemporary dress, one-off accessories, or framed textile art. International exhibitions and teaching in USA, Canada, Australia, New Zealand and Japan have brought wider recognition. 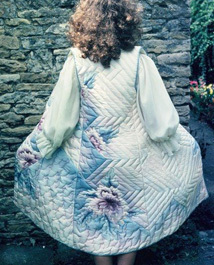 Her works are held in public and private collections worldwide, an early quilted jacket for the designer Bill Gibb is in the permanent collection of the Victoria & Albert Museum. Sue has received numerous awards for her creative activities; in 2009 she received a National Lottery & Arts Council England grant for curating 'A Wearable Art' exhibition, in Oxfordshire. The studio in her 18th century Oxfordshire home reflects the diversity of Sue's creative work: a gallery of her botanical paintings, collections of embroidered samples and design portfolios. Visitors are welcome by appointment to view work or discuss a commission. Web design and development by CODESIGN.